Came across this patent last night while doing a bit of research and found it very interesting. This is something I’ve discussed in the past regarding how autonomous driving modes will bode with our desire to “beat” the other guy in our race to the office. 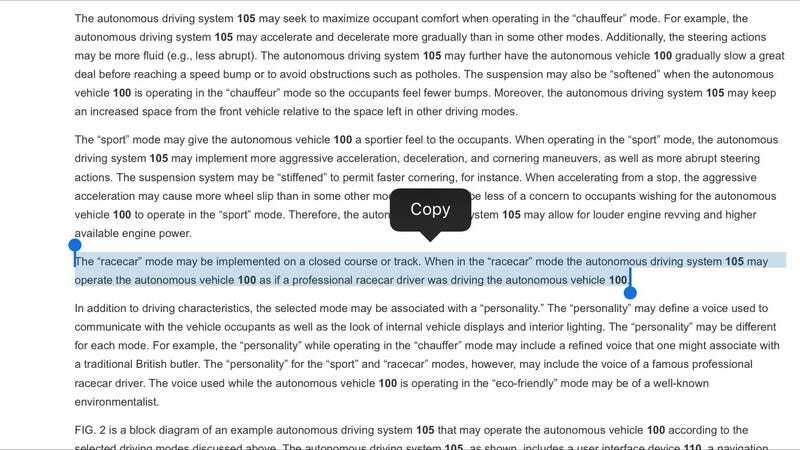 It appears Ford is on top of this with their selectable autonomous modes.